With intermittent call for unification among the separated separatists over the years from across the borders, Kashmir is all set to witness another split in Hurriyat. Fourth since its inception. 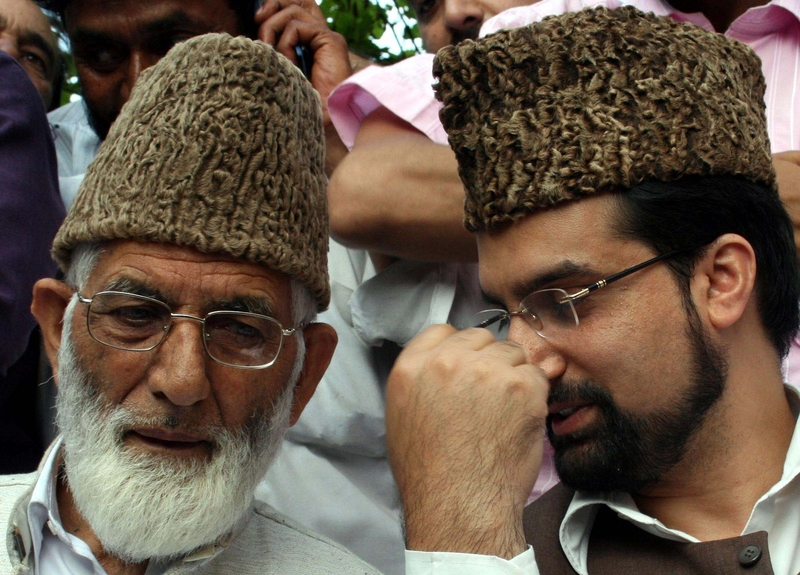 From being influential voice in Kashmir, Hurriyat is struggling within. Reports suggest that six constituent members of Hurriyat led by Mirwaiz Umar Farooq have questioned the legitimacy of the procedure in which Hurriyat (M) is being run. They have raised a banner of revolt against Mirwaiz Umar and executive members of the conglomerate alleging that Mirwaiz and his core group has given up the 1993 constitution. Representing their own parties in Hurriyat (M), the estranged leaders are; Jammu Kashmir Salvation Movement chairman Zaffar Akbar Bhat, Muslim League chairman Hakeem Abdul Rashid, Kashmir Freedom Front Chairman Syed Bashir Andrabi, Chairman National Peoples Party Syed Saleem Geelani, Peoples league Chief Sheikh Yaqoob and Chairperson Muslim Khawateen Markaz Yasmeen Raja. “Mirwaiz along with his core group are advocating secret talks and even bilateralism which is quite contrary to the Hurriyat’s 1993 constitution,” one rebel member wishing anonymity said. Already three in place, Kashmir according to reports will soon have another Hurriyat as estranged members have started interacting with rest of the constituents present in the Hurriyat conference and are about to form another (real) Hurriyat. There are reports that if this plan won’t work, the rebels may join Hurriyat Conference led by Syed Ali Geelani. One bone of contention among many is Bilal Gani Lone. Reportedly rebels want Mirwaiz to expel Lone as they allege that “Lone helped BJP in Assembly election 2014”. Bilal’s younger brother, Sajad Lone is minister in Mufti led coalition government on BJP quota. On this issue, Bilal, Lone is quoted to have said if his presence in Hurriyat (M) is seen as a hurdle in the unity among the divided groups, he is ready to quit from the party. “If I have become the bone of contention between the two parties, I am ready to quit. I will not have grudges with anyone,” Lone is quoted to have said. Political commentators see this step as major setback to Pakistan who has been making its efforts to unite two factions of Hurriyat Conferences led by Geelani and Mirwaiz to present a united platform for separatist groups in Kashmir. Pertinently Pakistan even closed down one of the offices of the Hurriyat Conference in Islamabad in 2013 and compelled both factions to operate from single office. To make peaceful struggle for the people of Jammu and Kashmir in the exercise of the right of self-determination in accordance with the UN Charter and the resolutions adopted by the UN Security Council. The exercise of the right of self-determination shall also include the right of independence. To endeavour for an alternative negotiated settlement of the Kashmir dispute amongst all the three parties of the dispute — India, Pakistan and people of the state — under the auspices of UN or any other friendly countries. Provided that such settlements reflect the will and aspirations of the people of the state. Formed in 1993, the amalgam was named All Party Hurriyat Conference (APHC). It had seven executive council members and 34 political, social and religious parties in its general council. APHC was aimed to fight “against oppression of India and seek freedom.” This was possibly an attempt to put point politically. 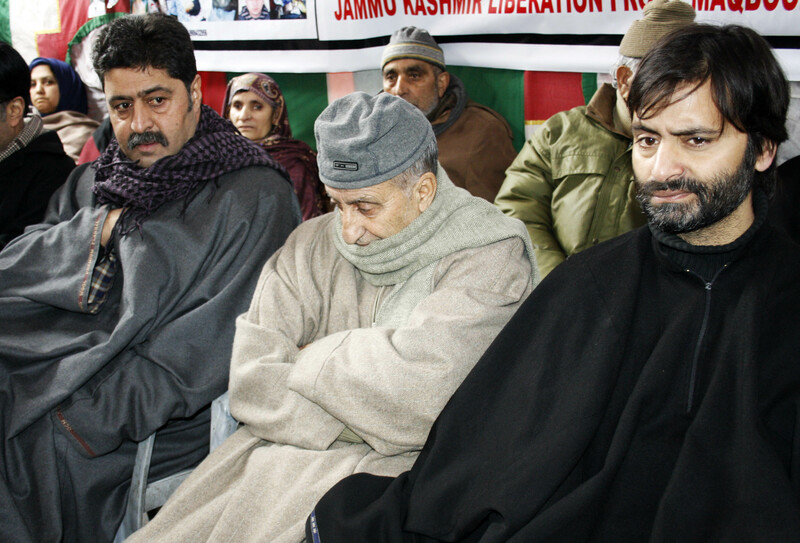 In absence of other political parties in Kashmir, Hurriyat took the centre stage. With many hiccups, it survived undivided (formally) for ten years. 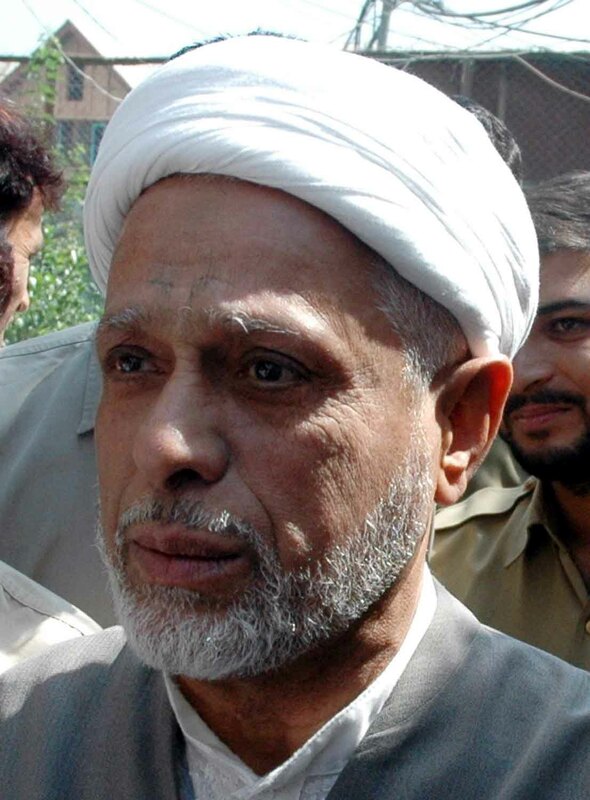 In 2003, the cracks surfaced and 12 constituents revolted against the then chairman Moulana Abbas Ansari. The reason for this revolt was Sajad Gani Lone, who that time was accused fielding of alleged proxy candidates in 2002 elections. The split gave Jammu and Kashmir, Hurriyat (G) and Hurriyat (M). In 2008, in old city’s Eidgah, all the divided sections were seen together, for the first time after the split. Nearby the ground in Eidgah is the fattened graveyard of Kashmir conflict. In between, in 2009 senior Hurriyat (M) leader Fazal Haq Qureshi survived assassination bid and is bedridden since then. After eleven years of unification, in 2014 Hurriyat (M) members were again on cross roads. This time it was Democratic Freedom Party president Shabir Ahmad Shah, National Front chairman Nayeem Ahmad Khan, Mahaz-e-Azadi chief Mohammad Azam Inqlabi and Islamic Political Party Mohammad Yousuf Naqash. They revolted against Mirwaiz for “not adhering” to 1993 constitution of Hurriyat. They separated and formed Hurriyat conference JK. If most of these parties are single man parties, why did Huriyat (M) allow them to join the platform. When they supported Mirwaiz, they were great men and parties and now when they in unison revolted against Mirwaiz, they became figments and one man parties. Huriyat (G) must be cautious and calculate the turn of events carefully. Quality not quantity/number matters. Mirwaiz had numbers but not the quality. Just like nehru, they are tired, though, much younger than Geelani, they now want settlement even if under the ambit of indian constitution as revealed by L.K Advani in his book.